If you are facing a child custody case, an experienced child custody attorney can provide needed guidance and representation. In Nassau County , NY, and Queens, NY, David L. Martin and Sofiya Shoaib, Esq. have the skills and resources to advocate for you throughout the child custody process. 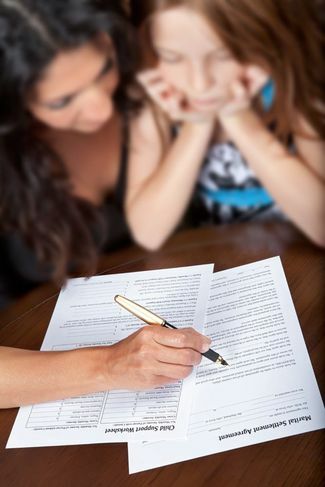 Our Nassau County child custody lawyer’s goals are to help ensure that your parental rights are protected while negotiating an arrangement in the best interests of the child. In New York, there are two types of child custody: legal custody, and physical (or residential) custody. Physical custody is not typically joint, but if one parent has sole physical custody, in most cases, the other parent will have visitation rights. Legal custody refers to the rights and responsibilities of the parent to make decisions concerning how the child is raised. Education, medical care, religion, and discipline are some of the decisions that are included in this area. Legal custody can either be joint, where both parents equally share the rights and responsibilities, or it can be sole, where only one parent has the rights and responsibilities. The court does not favor one parent over the other for custody issues. Rather, the court uses the “best interests of the child” standard. If the parties cannot come to an agreement regarding child custody, the court will appoint an Attorney for the Child, who will represent the child’s interests in the custody proceeding. The Attorney for the Child will talk with the child, both parents, and perhaps the child’s teachers, as well as other important figures in the child’s life. Depending on various factors, the court may order both parents to undergo a forensic evaluation, which is usually conducted by a psychiatrist or psychologist. The doctor's role is to assist the court in determining which custodial arrangement is in the best interest of the child. If the parties cannot settle their disagreements, their case will proceed to trial. Child custody trials can be long and emotionally draining for all parties involved. It is imperative to have the guidance of a skilled and experienced attorney on your side. Our attorneys will agressively act in your best interests while handling every aspect of the legal process. We understand how important child custody arrangements are, and our Nassau County child custody attorneys will fight tirelessly for you during what can be a very difficult time. To learn more, please contact our office to schedule a consultation.